Every electrical company and contractor present different needs and expectations; utilities and large industries who require electrical contractor services may be more concerned with reliability and delivery terms, whereas the contractor may be worried in cost/revenue ratios and minimize the problems while providing quality electrical contractor services. For 30 years, we have been working in partnership with all our customers in the power field to provide the proper solutions, keeping a maximum compliance with quality, innovation and service for meeting the needs of both parties in any enquiry of electrical contractor services: on one side, time and cost saving solutions, with easy maintenance, warranty and updateable design, testing equipment compliant with the corresponding safety and performance standards, with the best after sales service valued by customers for meeting the end user requirements; at the other hand, easy to use equipment with minimum training, with flexible options and problem solving features, a wide range of equipment choices suited for all budgets, quality at competitive price, and supported at any time to meet the many kind of electrical contractor services. 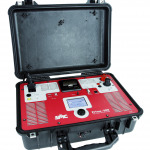 SMC products are well known for high reliability at competitive prices, being the preferred choice of professionals for testing and measuring in the power field; thousands of units are now being used in more than 100 countries, helping to keep up and running the business of electrical contractor services worldwide. Just a few of the many electrical contractor services may include: building power systems, electrical preventive maintenance services, testing and commissioning of substations, electrical panel testing and troubleshooting, testing breakers, switchgear, transformers, testing relays, any kind of primary injection and secondary injection testing services, etc. The SMC products facilitate the work of the companies providing electrical contractor services, making the difficult simple, with flexible and portable solutions, for the greatest efficiency in their daily work. 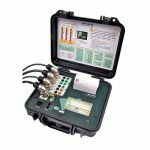 The following products, with unique combination of features, are some of the most appreciated by electrical contractors: PTE-100-C, RAPTOR System, MENTOR 12, PME-500-TR, PRIME 600, PME-20-PH, GOOSEMeter One; all of them are a world leader and reference in their specific applications (primary injection, secondary injection, breaker testing, transformer testing, relay testing, etc), and they are must-have instruments for the wide diversity of electrical contractor services. Technical Service and Calibration: our after sales technical department take care immediately of any incidence, with a precise and quick solution that allows to meet the electrical contractor services timetable; the Customer Support Center in our webpage helps to track the submitted cases and search for solutions to questions related to SMC products and services; we also perform the required calibrations of our products; we are at any time to take care of any problem, including any maintenance or repair needed in the future. 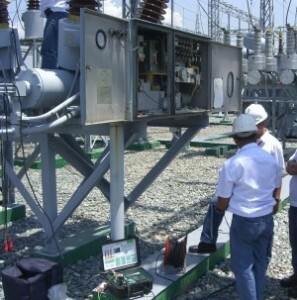 Technical Advice: we study the technical suitability of the equipment to the actual need of the electrical contractor services project or tender, offering different technical solutions and options, with a flexible adaptation to the budget, and with our firm commitment to protect the interest of our customers; our specialists will find the right power solution for your electrical contractor services. Demos and Presentations: if needed to check in situ the high performance of our equipment, we get to where you are; we can present the operation of the product to you and your end customer to demonstrate our guarantee and commitment. 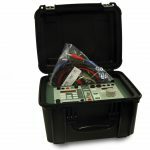 Training: the ease of learning and use are common to all our products, but if necessary, we also provide the training of the electrical staff in any of our equipment, to ensure the necessary expertise on the best use and performance of our equipment when providing your electrical contractor services. Equipment hire: if available, we also support the temporary needs of power equipment in your electrical contractor services, complementing your own resources or for facing an emergency. Special requirements: if required, our team of engineers will study the project to design and develop equipment and systems for specific applications. Design and innovation are inside our DNA. Our R&D department keeps developing revolutionary new products for improving the business of the electrical contractor services and utilities. For more information, please check the related SMC products and services or contact us. 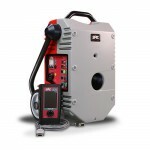 Electrical contractors : Some of the most appreciated products by electrical contractors and utilities. 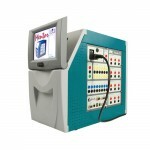 Must-have testing tools which are the preferred choice of professionals.